Your doctor will also evaluate your health, conduct a physical exam, take pre-operative photographs, and explain which surgical techniques are most appropriate for you. You’ll discuss the type of anesthesia to be used, the type of facility where the surgery will be performed, the possible risks, and the costs involved. Medical insurance usually doesn’t cover cosmetic procedures. However, some plastic surgeons offer special financing plans for cosmetic surgery or accept credit cards. Tell your surgeon if any part of the consultation makes you uncomfortable, or if you have any special privacy requests. Above all, it’s important to have realistic expectations about your surgery. 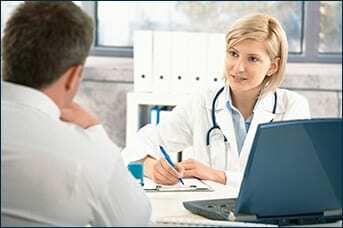 Your consultation will extensively cover information on your operation. Dr. Wald will discuss a number of factors that may influence your surgery. Make sure you fully understand these considerations. To avoid post-operative problems, it’s important that you arrange to have a support person available to help you-both physically and emotionally-for about a week after surgery. If you get the help and rest you need, you’ll improve your chances of a quicker recovery-and see your results sooner.